Debenhams has launched a campaign to help us 'forgotten women' (its words, not ours) ie those of us over 40, dress better. The department store is to feature models aged 40, 50 and 60 years old in its autumn campaign, as it acknowledges that we have little or no imagery that reflects our demographic within the fashion world. 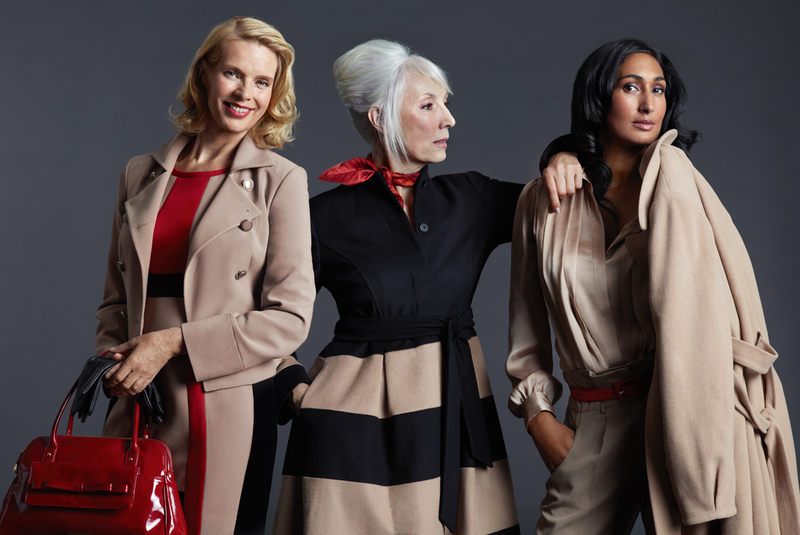 Called The Style List, the images will feature in windows, advertising, on line and around stores and aims to inspire older women with styling and outfit advice. The first three images are Power Dress, Casual Cool and All Woman. We have Power Dress above. Well done to Debenhams, we say, good to see someone is trying to help. The company has linked up with fashion commentator Caryn Franklin, who has styled the shots and will work with the company to produce future campaigns. There is going to be a competition run in store to find another 'face' for the campaign, so if you fancy your chances, you might like to keep an eye open. Go onto Debenhams website to see more, and let us know what you think.